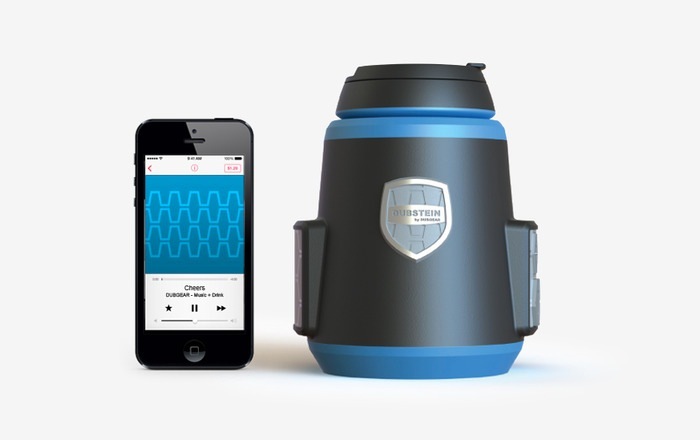 Jansen White based in Toronto Canada has this week unveiled his new stereo Bluetooth speaker which also doubles as a drinks container called the Dubstein. Allowing you to enjoy the best of both music and drink whilst out and about. The Dubstein has taken over two years to develop during which time over 20 prototypes were tried and tested to come up with the final design which provides a pair of 3W, 40 mm full-range neodymium speaker drivers, a Class-D amp and a 24-bit DAC. “We’re into good times and great sound. The DUBSTEIN is our first product, and we’re on a mission to transform portable music – packaging sound in brave new ways! Get ready for a product that delivers exceptional performance, and a whole lot of fun. 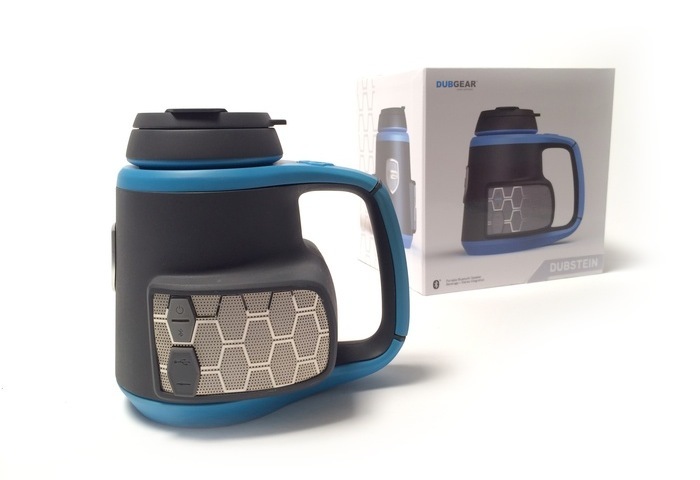 Features of the Dubstein Bluetooth speaker drinks container include that ability to stream from your mobile device, stereo sound, and a rechargeable battery capable of providing up to 8 hours of playback time. The new Bluetooth speaker drinks container is now available to back over on the Kickstarter crowned funding website priced at $129 Early Bird, $139 Middle Bird, or $149 for Later Birds.